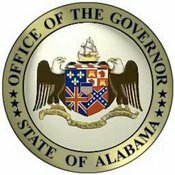 Governor Robert Bentley will proclaim September as GYN Cancer Awareness Month by issuing a proclamation. In addition, many cities and counties in the State of Alabama are following suit. Proclamations have been approved and adopted in these locales declaring the month of September 2016 as GYN/Ovarian Cancer awareness month. Visit this area to view all the municipalities who participated.